Make sure patients understand why they need a crown. 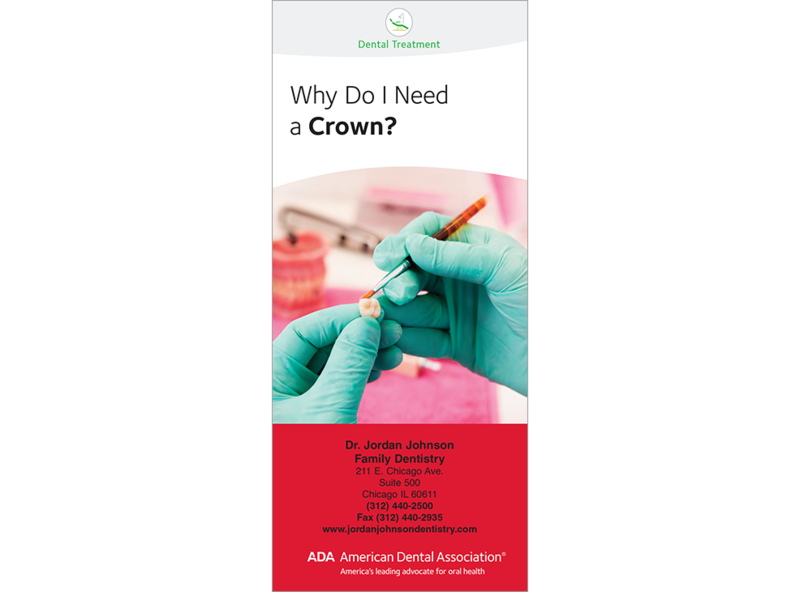 This concise brochure lists the situations when a crown may be appropriate and includes placement steps with illustrations, choices for crown materials, and tips for caring for a new crown. Also features before-and-after photos and illustrations. 6 panels. Minimum order 150. Click Add to Cart then personalize for free. Now you can add personalized information on the front, back, or both covers on all brochures.